The Truffle Book is a work in progress. Very slow progress. I’m writing this entry as a warm-up to writing about the chemical constituents of truffle aroma, about half way through chapter three. If I make any serious inroads on that chapter, then the word count in the column on the right will ratchet up a little more. This blog is a way of publicly committing myself to getting the thing written and published, and as long as blogging doesn’t replace real work, we’ll be OK. I hope. In 1999 I wrote The Olive Book, intended as a guide to growing olives in the southern hemisphere. It was the book I’d wanted to read when establishing the olive grove at Limestone Hills, and because olive growing has become fashionable in Australia and New Zealand, it’s sold reasonably well. We’re not talking big numbers here, because there aren’t that many olive growers around, but I still get an occasional royalty cheque. 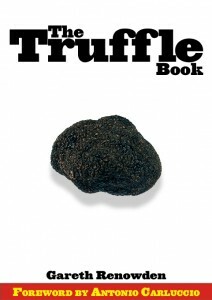 The Truffle Book was intended to be the follow-up, but rather than write a guide for growers (Dr Ian Hall has that market sewn up), I wanted to write an entertaining and informative work for general readers – something along the lines that worked so well for Mark Kurlansky with Cod and Salt. There are quite a few books about truffles in French and Italian, but beyond a few recipe books (mostly translations) and Ian Hall’s seminal The Black Truffle, there’s nothing much available in English. If you’re interested in truffles, my book will tell you more than you ever thought you wanted to know, from the fact that Australia’s rare long-footed potoroo gets 80% of its food from indigenous truffle-like fungi, to how to train a dog. (Peg is watching me write this – she’s obviously bored rigid). I started work on the project in 2000, and toured France and Italy that autumn doing research. I also started talking to a London publisher about the book, and through her ended up doing some work on a project for a US publisher. Nothing came of that, although a book bearing a suspicious resemblance to my initial proposal did appear some time later. I made a few more attempts to find an international publisher, but by the end of 2001 I decided that I’d just have to write the damned thing and let the publishing look after itself. So why the three year delay? Difficult to say, really. Probably the biggest single reason is that without the pressure of a publishing deadline, and a publisher breathing down my neck, other things tend to take priority. Things like farm work, articles and photography for Growing Today, and Truffle Association business each seem more pressing. And if you’ve read the first entry in this blog, you’ll see that I like to have big chunks of time to write effectively, and they don’t come together all that often.When the words are finished, I’ll do the design and layout myself, and then the book will published by Limestone Hills Ltd in both electronic (pdf) and paper form. You’ll be able to download the first couple of chapters free of charge from the Limestone Hills website, and buy the whole thing for about 10 Euros/US dollars. If you then want to buy a paper copy by mail-order, you’ll get a full credit for your download purchase. The paper version of the book will also be available in selected bookshops in New Zealand, and perhaps Australia. If publishers in the US and Britain are interested, they can license bookstall editions, and full translation rights will be available for other territories. This blog is, in a way, part of the promotional campaign. 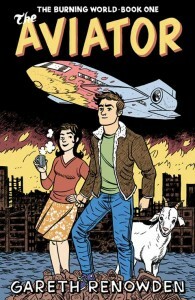 You not only get to read the book (eventually), but you get all the fun of following its creation. Which is what I ought to be doing now.